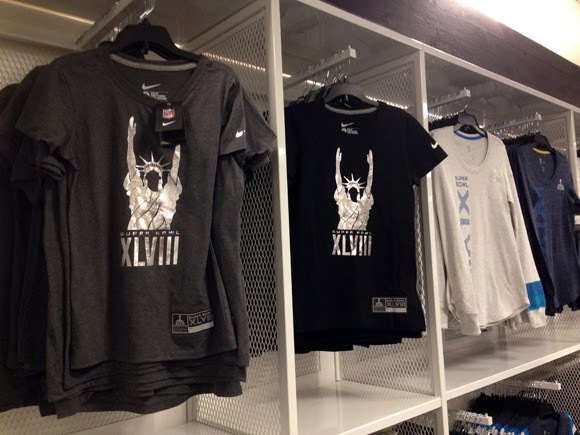 A historic Super Bowl deserves an epic store. 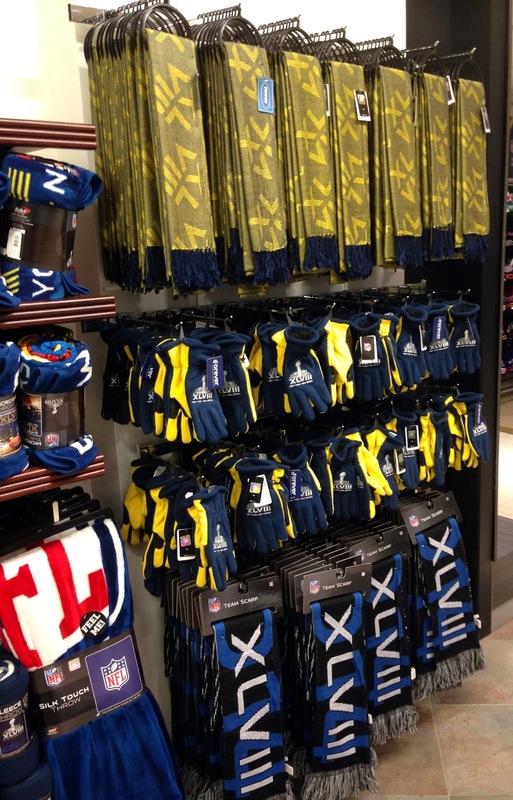 On 34th Street, Macy's Herald Square has the epic thing covered with the world's largest Super Bowl store on their fourth floor: the NFL Shop at Super Bowl. 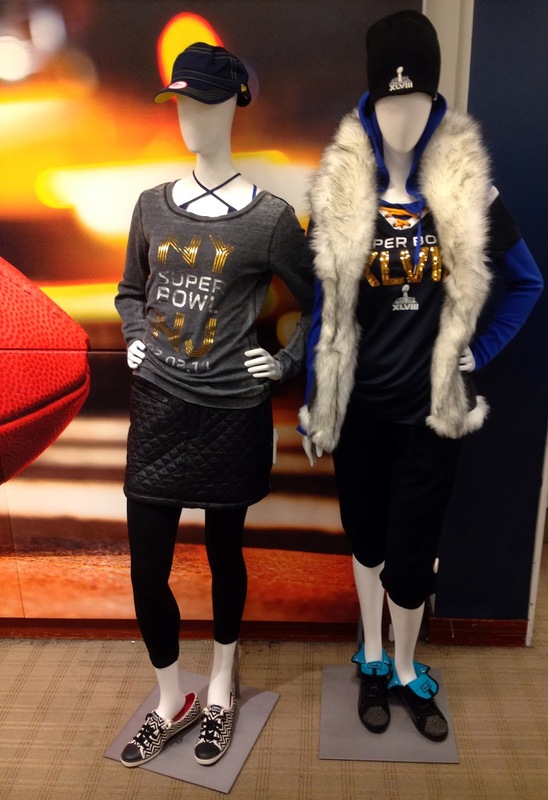 Even the first floor of Macy's Herald Square is decked out for the Super Bowl. 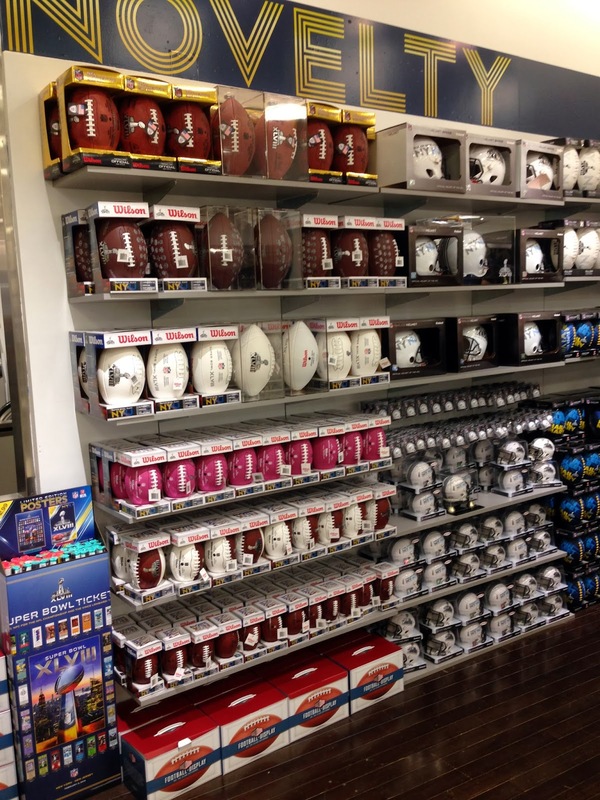 I stopped by the other day to check it out, and it is beyond impressive: a football fan's big game mecca. 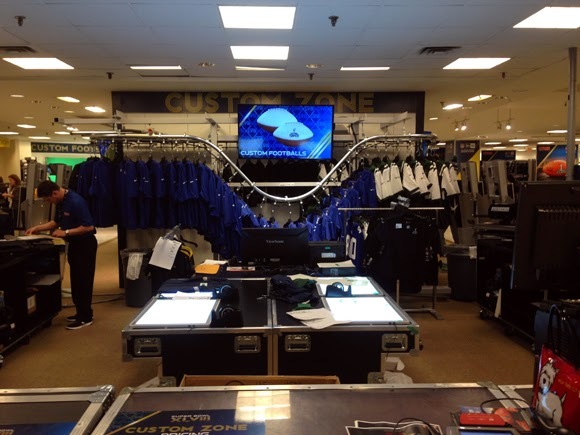 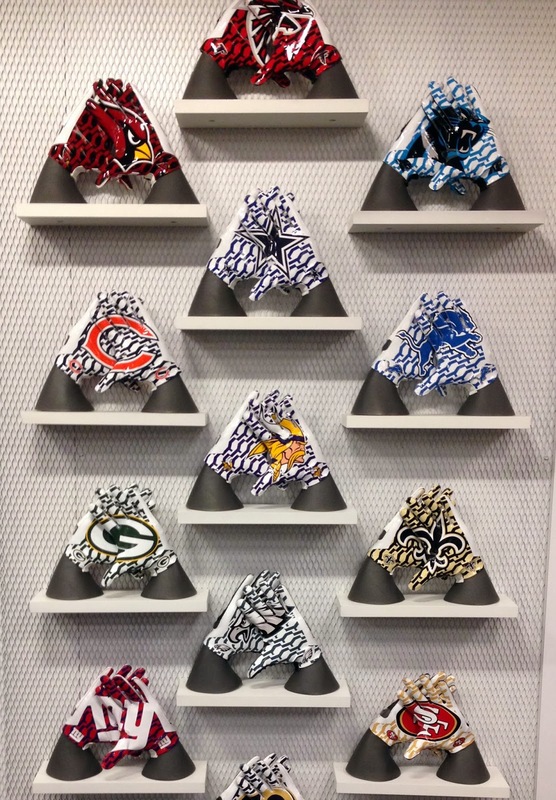 Sections include the "Custom Zone" (above), where fans can personalize Super Bowl apparel and accessories (including footballs and jerseys), NFC and AFC apparel departments for men and women, walls of knit caps and snapbacks, the Charles Fazzino art exhibition (the NFL's officially licensed artist), and much, much more. 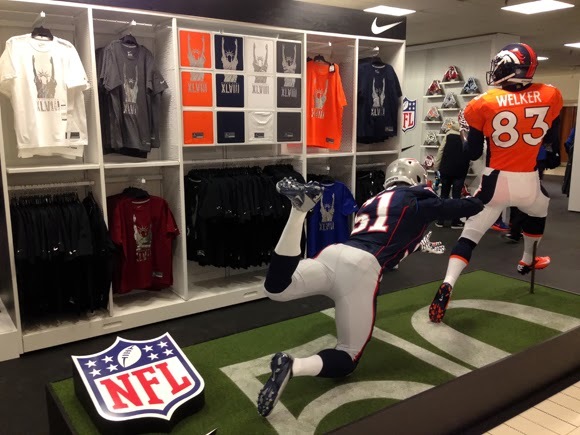 Below are more photos, but the NFL Shop at Superbowl has to be seen in person. 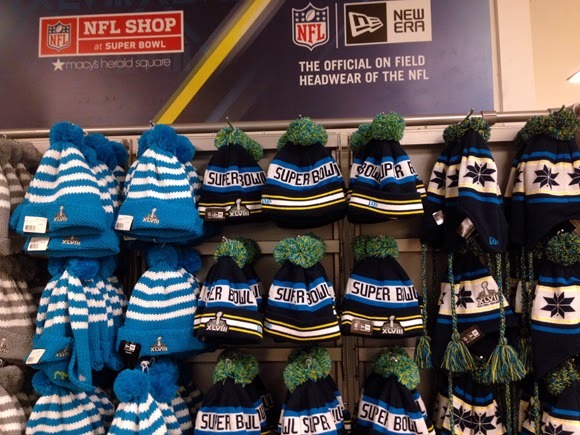 Stop by through February 4th to shop game merchandise and to buy tickets ($5) to the toboggan run, the main attraction on Super Bowl Boulevard in Times Square. 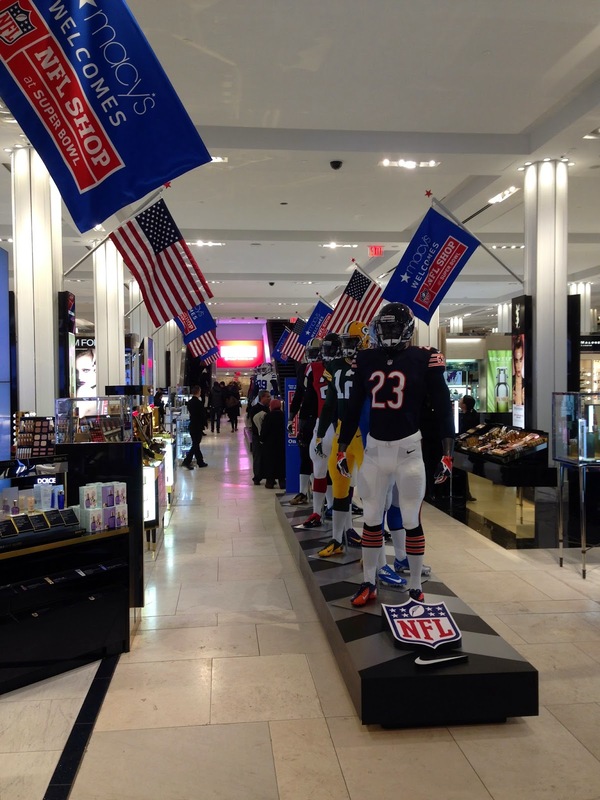 Macy's Herald Square is the southernmost destination of the boulevard. 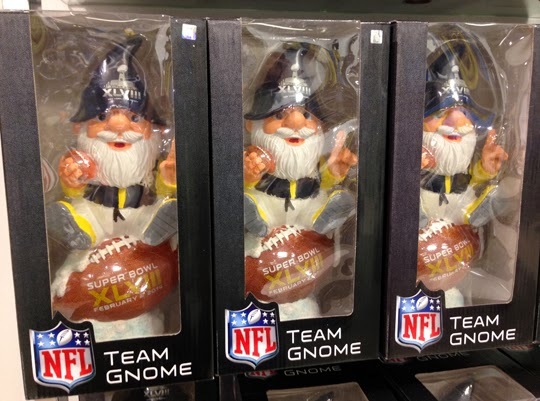 But wait, there's more: click here for the press release to get all the dates of player appearances, a spectacular fireworks display, and the stunning debut of a nightly NFL video show "morphing the store’s world-famous façade into an outdoor theater for football’s most devoted fans." 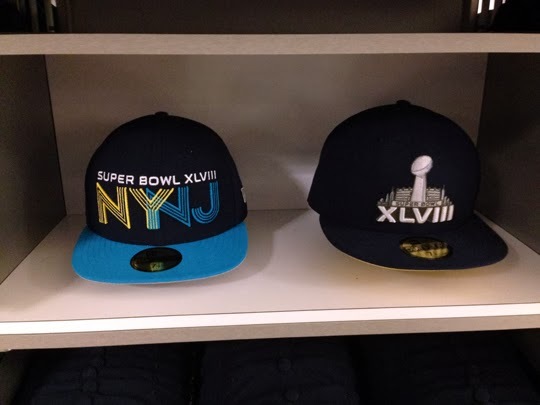 Bravo, Macy's. 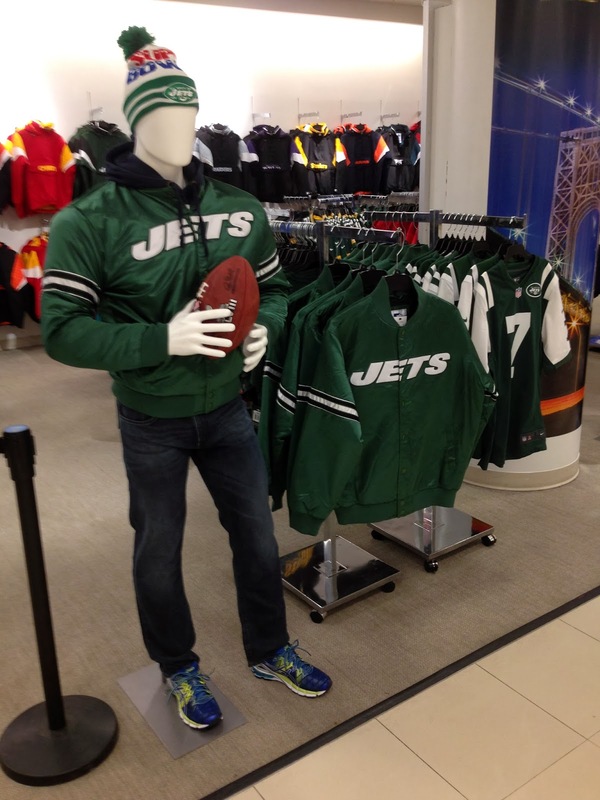 And welcome, football fans, to New York City's most exciting Super Bowl retail destination. 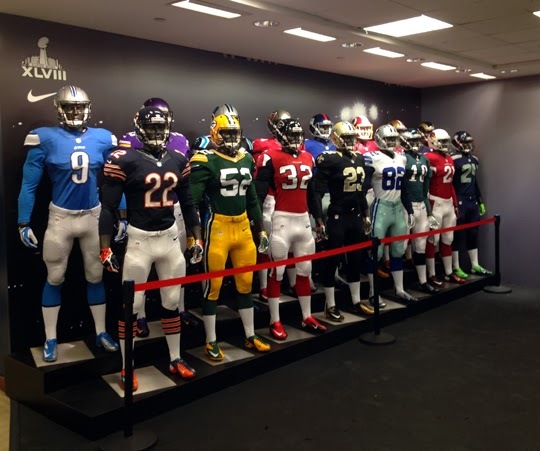 34th Street Weekend Picks: Last Chance Weekend?